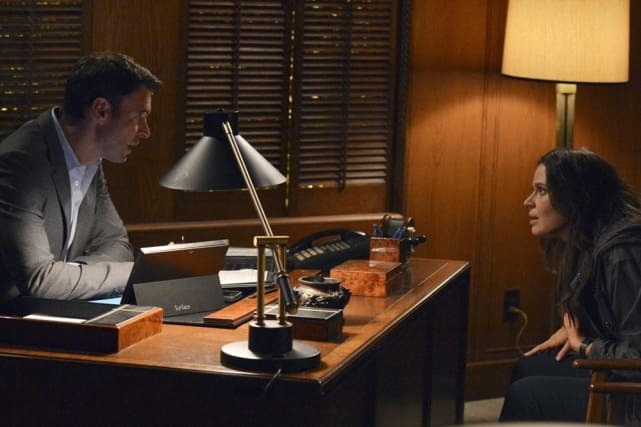 Scandal Photos: "We Do Not Touch the First Ladies"
Check out these photos from Scandal Season 3 Episode 12. They feature a lot of Olivia and a whole lot of Mellie. 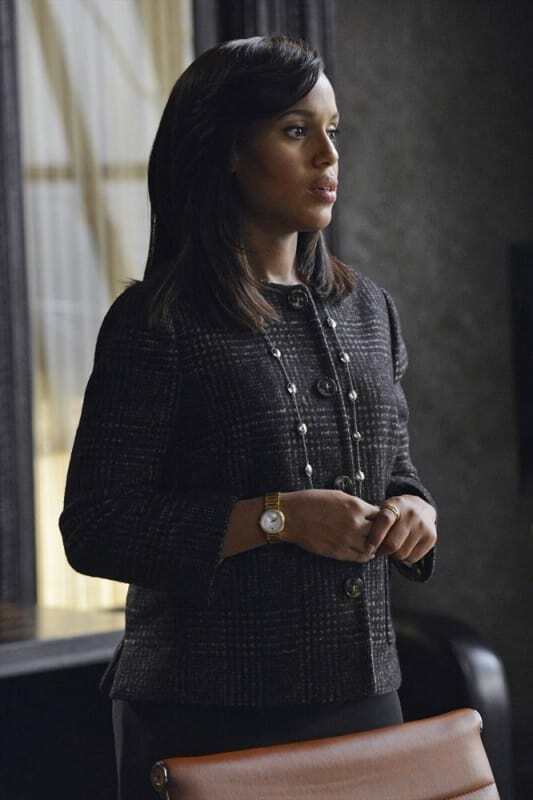 Whatever Olivia is telling Mellie, she really doesn't look happy about it. "We Do Not Touch the First Ladies" is the 12th episode of the show's third season. We expect Olivia to look confident, especially in front of her Gladiators but that's not what she's projecting here. 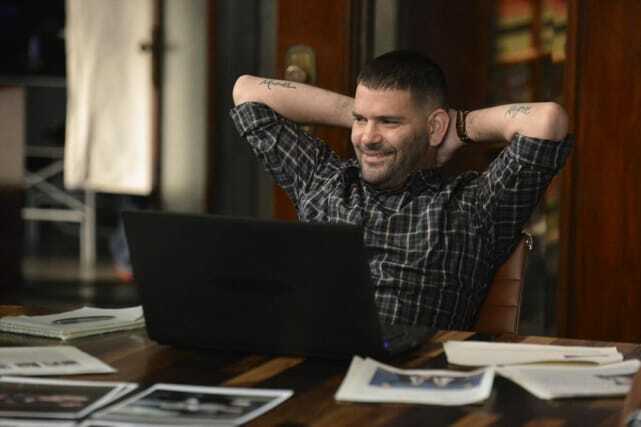 Huck certainly wouldn't be smiling if he knew exactly what Quinn was up to with B613. What will he do when he finds out? Quinn gets a one on one meeting with Command. What do they expect from her and will she deliver? What are the Gladiators working on this time on Scandal. "We Do Not Touch the First Ladies" is scheduled to air on Thursday, March 6th. Mellie may be all dressed up but that's not a pretty expression on her face. What is making the First Lady so unhappy? 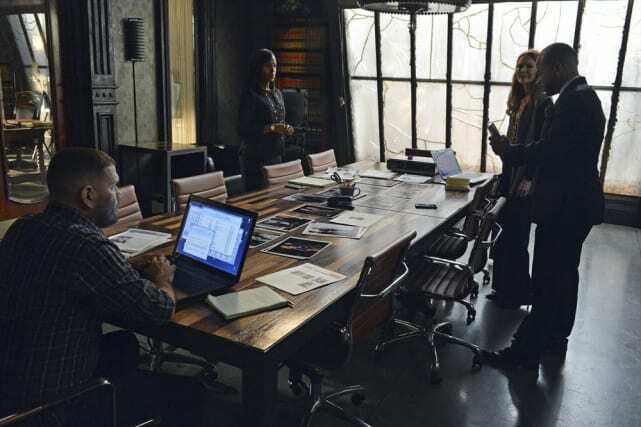 Scandal Round Table: Possible Meltdown Alert!